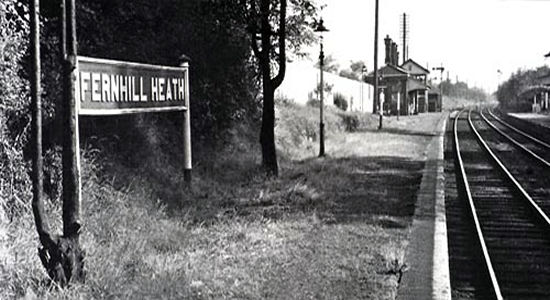 Opening with the OWWR line in 1852, Fernhill Heath was the only permanent station lying between Worcester and Droitwich (there were also two short-lived halts on this stretch of line). 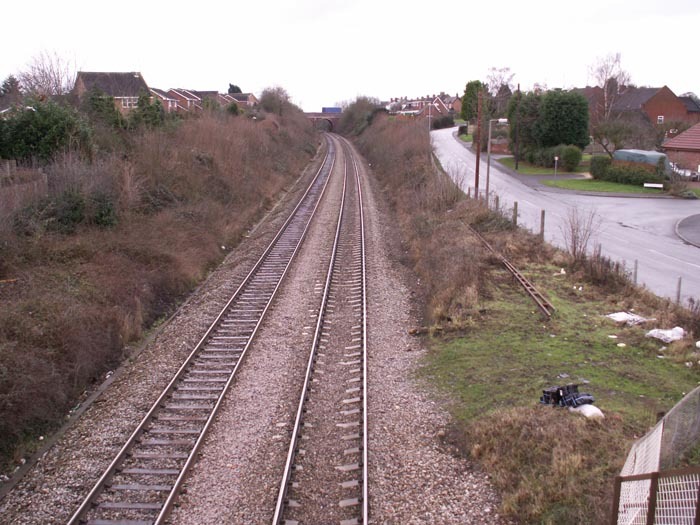 As this was on the line from the joint MR-GWR Shrub Hill station, services from both companies passed through however, only GWR provided stopping services: joining the Midland network required a trip to Droitwich! The station, as can be seen above in 1960 (photo: Stations UK), had a brick-built booking hall on the Droitwich platform, a signal box and, out-of-shot to the right, a wooden shelter on the Worcester platform. 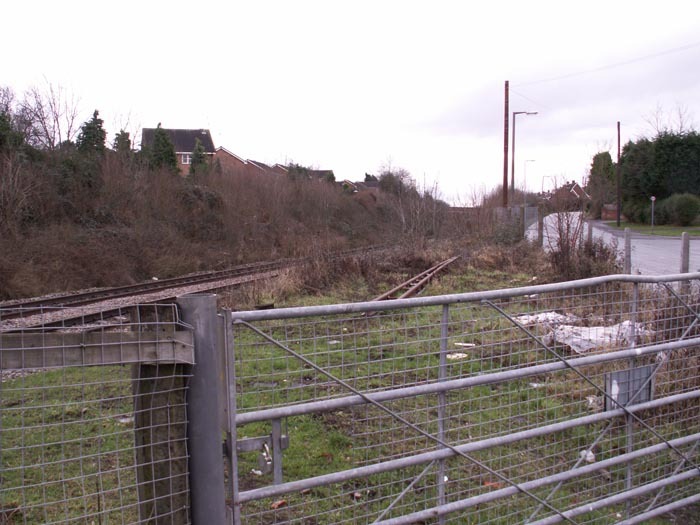 The station succumbed to the major post-Beeching cull in 1965 and today, little remains to indicate a station ever stood at the site other than 'Station Road' from which it was accessed. 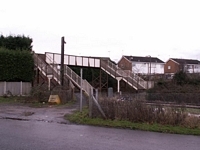 Above-left we are on Station Road looking a the ex-station footbridge which is still in situ and in good order: this being the only structure now visible at the site. 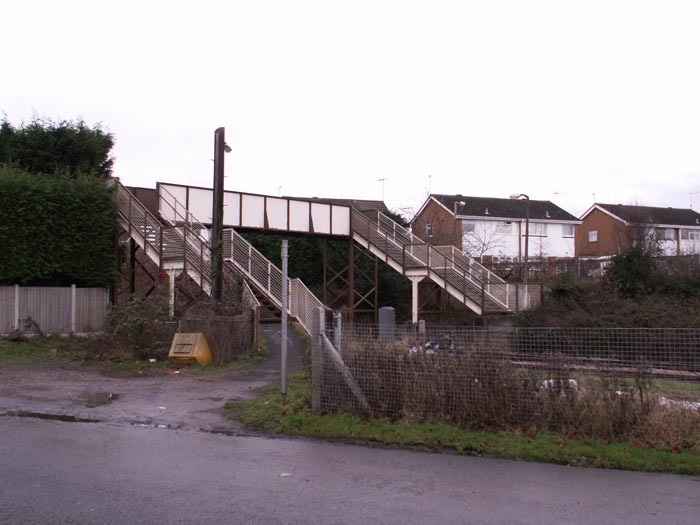 Above-right we take a closer look at the Droitwich side of the footbridge with the station site proper lying ahead. Above-left we are in the same position as for the previous shot but have turned 180 degrees to look at the entrance to the site in the direction of Worcester Shrub Hill: Station Road to the right. 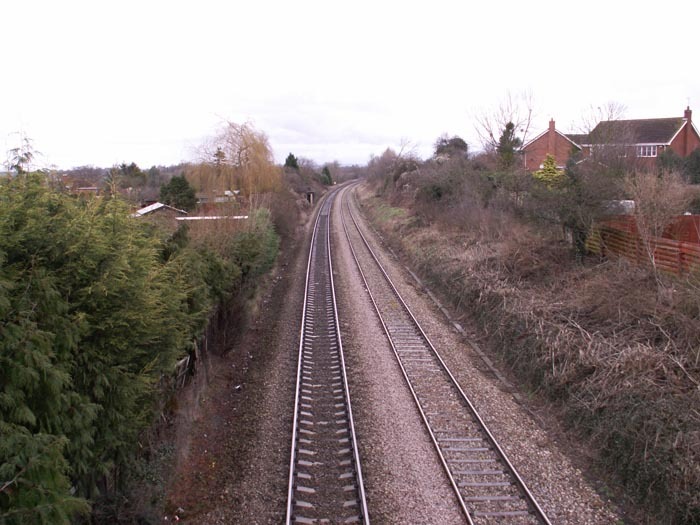 Above-right we are again looking towards Worcester but this time from the footbridge itself: the road bridge carrying the A38 can just be made out in the distance. Above-left we see the same view as the photographer in the 1960 photograph but this time seen from the footbridge. 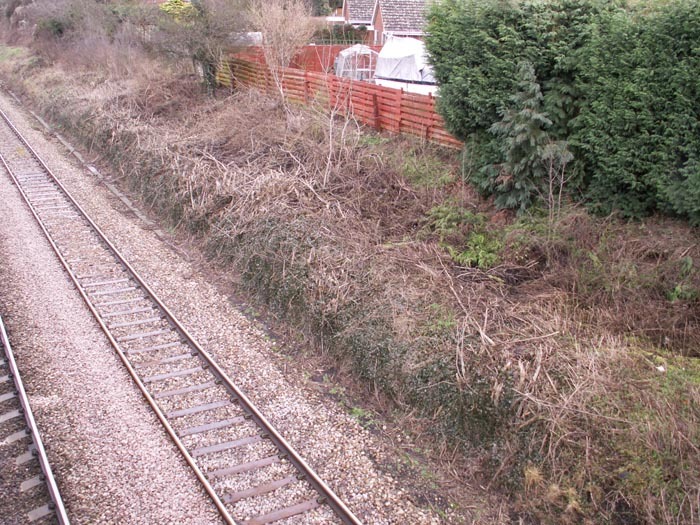 The area to the left of the 'Droitwich platform' is now occupied by bungalows and, other than the mound at the site of the Worcester platform, there is not much to indicate the site's former incarnation. 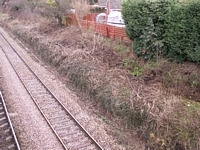 Above-right we are looking directly down at the site of the Worcester platform: the supporting mound is still in situ but the brickwork appears sadly to have been removed. 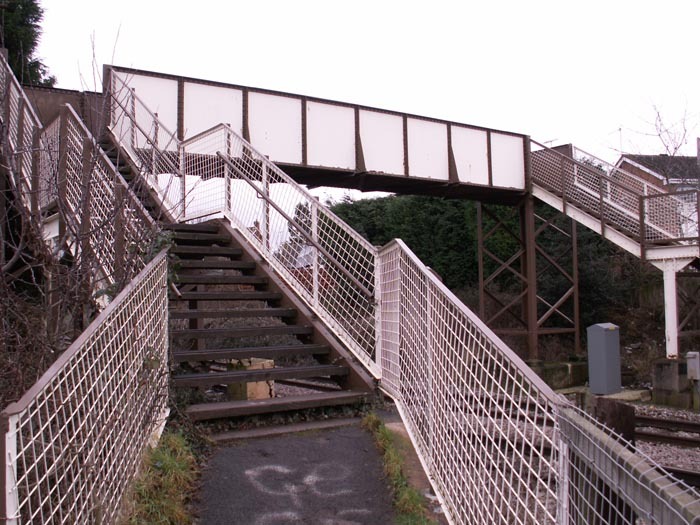 This is not a site I would recommend visiting as there is little of interest remaining, other than the footbridge.